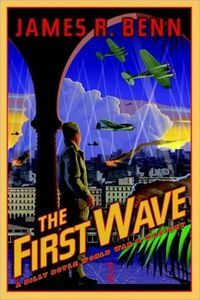 The First Wave by James R. Benn: Synopsis and Online Purchase Options. Synopsis (from the publisher): Lt. Billy Boyle reluctantly accompanies Major Samuel Harding, his boss, in the first boat to land on the shores of Algeria during the Allied invasion. Their task is to arrange the surrender of the Vichy French forces. But there is dissension between the regular army, the local militia and DeGaulle's Free French. American black marketeers in league with the enemy divert medical supplies to the Casbah, leading to multiple murders that Billy must solve while trying to rescue the girl he loves, a captured British spy.